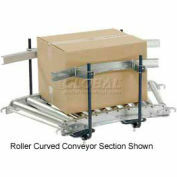 Skate wheel conveyors offer smooth movement of multi-sized material. 2" diameter ball bearing plated wheels and 3" axle centers. 2-1/2" x 1" x 1/8" aluminum channel frame with hook and rod coupling is lightweight for portability and corrosion resistant. 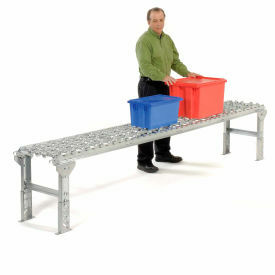 To increase the capacity of 10 ft. sections add center leg support and capacity is equal to two 5 ft. lengths. 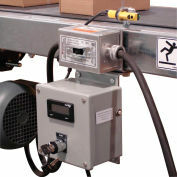 Capacity is 50 lbs. per wheel.